Vanderbilt University School of Engineering Dean Kenneth Galloway will return to the faculty after the Spring 2012 semester. He will be succeeded by Philippe Fauchet, currently chair of the University of Rochester department of electrical and computer engineering, the university said in a release today. VUSE "is getting a visionary leader in Philippe Fauchet to build on the impressive contributions of Dean Ken Galloway,” said Richard McCarty, provost and vice chancellor for academic affairs, in the release. “Philippe has broad experience as a researcher and he is a dedicated teacher and university citizen. I look forward to his arrival on campus with great excitement," McCarty said. Fauchet founded Rochester’s Center for Future Health, an organization in which "engineers and physicians work to develop affordable technology that can be used in the home. He is also the founder of the Energy Research Initiative, a university-wide effort at Rochester to coordinate and expand the university’s research and educational activities in all areas related to energy," the university said. Noting that the leadership change is an "important moment" for 125-year-old VUSE, Vanderbilt Chancellor Nicholas Zeppos said in the release that Fauchet is "well-known and respected at Vanderbilt because of his accomplishments at the University of Rochester, and we anticipate great success as he brings his dynamic leadership to our campus.” VUSE ranks 34 in the U.S. News and World Report evaluation of engineering programs nationwide. Galloway, who became dean in 1996, was profiled earlier this week by the university's news office. Prior to joining VU, he held appointments at the University of Indiana, the University of Maryland, the University of Arizona, NAVSEA-Crane and the National Institute for Standards & Technology (NIST). 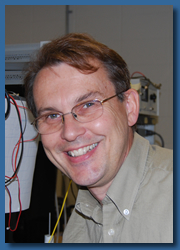 His research and teaching have centered on solid-state devices, semiconductor technology, and radiation effects in electronics. He is 2011 chairman of the American Society of Engineering Education Deans Council and is a Fellow of the Institute of Electrical and Electronics Engineers, among other distinctions. He earned his bachelor's at Vanderbilt University in 1962 and his Ph.D. at the University of South Carolina. Fauchet, 56, said in the release, “I intend to build on the strong foundation laid by Dean Galloway and help the School of Engineering become a national leader that attracts the very best minds from the United States and abroad. I think Vanderbilt can have important impact on issues including improving health for our aging population, energy production, the environment and security." Fauchet earned his Ph.D. in applied physics from Stanford University in 1984. He graduated from Brown University in 1980 with a master’s in engineering. Fauchet has been the primary adviser of Ph.D. students in six different disciplines and has authored 400 technical articles. According to Vanderbilt, Fauchet and his wife, Melanie, who is a nurse practitioner, have 13 children, including eight who are adopted, ranging in age from 2 to 22. During Galloway’s tenure, research expenditures from external sources grew from less than $10 million to more than $60 million annually. Galloway informed VUSE faculty this past Spring regarding his impending move.